Lack of Warnings in the U.S.
Duodenoscope lawsuits against Olympus and other scope makers claim the devices spread “superbug” infections that killed 35 people and sickened hundreds of others at more than 40 different hospitals worldwide. 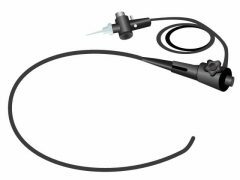 A jury handed up a $6.6 million verdict in the first trial against duodenoscope makers in 2017. People began filing duodenoscope lawsuits after several United States hospitals experienced infection outbreaks starting in 2010. The infections often included antibiotic-resistant bacteria. The most notable was carbapenem-resistant Enterobacteriae, or CRE, which is a deadly superbug that has a 50 percent risk of death. From January 2010 to October 2015, more than 400 patients were infected, dozens more were exposed and several people who had been infected died, according to an investigation by The United States Senate Health, Education, Labor, and Pensions Committee (HELP). At least 36 hospitals around the United States experienced superbug outbreaks between 2010 and 2015. These hospitals reported CRE infections linked to duodenoscopes that had been used during a procedure called endoscopic retrograde cholangiopancreatography, or ERCP. The procedure allows doctors to diagnose and treat diseases that affect the bile and pancreatic ducts. The most publicized outbreak occurred in the Ronald Reagan UCLA Medical Center in 2015, and this led to several lawsuits against Olympus Medical Systems Group, according to the American Bar Association. Manufacturer Olympus sells about 85 percent of duodenoscopes in the United States, according to Kaiser Health News. It has been the focus of most lawsuits and government scrutiny. Pentax and Fujifilm also face lawsuits. The first lawsuits over duodenoscope and ERCP-related infections went to trial in 2017. So far, Olympus has settled a couple lawsuits for confidential amounts and has faced a multi-million dollar jury verdict. In November 2018, The Japan Times reported Olympus faced at least 50 duodenoscope lawsuits in multiple courts. The lawsuits were seeking compensation for superbug infections. In its 2018 Integrated Report, Olympus did not disclose the exact number of pending lawsuits. “As these lawsuits are still before the courts, Olympus will refrain from commenting on this matter,” the company said in a Nov. 22, 2018 news release. Lawsuits say the design of duodenoscope models leaves small nooks and crannies in the tip. The Centers for Disease Control and Prevention and the Food and Drug Administration determined this design feature created hiding places for bacteria. It also made the devices difficult to sterilize between procedures. Federal investigators determined the design flaw allowed bacteria to survive even when hospital staff followed manufacturers’ cleaning instructions. 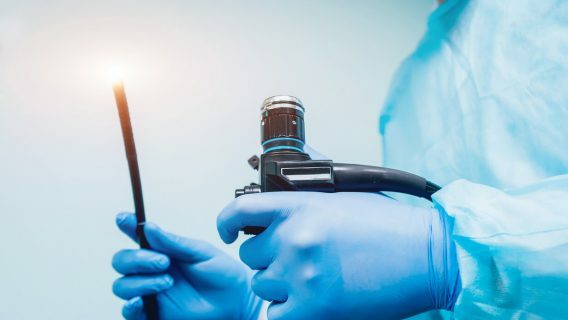 Lawsuits allege duodenoscope manufacturers knew their products were faulty but they failed to warn the public or provide adequate cleaning instructions to protect people from infection. Furthermore, plaintiffs say Olympus did not tell hospitals that its cleaning protocol did not eliminate all organic material or body fluids left on the scope. This remaining organic debris could harbor infection. In October 2014, Antonia Torres Cerda underwent multiple procedures with Olympus’ contaminated Q180V Scope at Ronald Reagan UCLA Medical Center, according to a lawsuit filed by Armando Cerda and his family against Olympus America Inc. in the Superior Court of California, County of Los Angeles. Antonia contracted an infection and died. The family sued Olympus and its sales representatives. In addition to the Cerda family, dozens have filed lawsuits, including Debbie Newton and the children of Renate Winkler. Washington resident Debbie Newton filed a lawsuit against Olympus after she underwent an ERCP procedure for gallstones in February 2013. Following the procedure, doctors placed her on life support for heart, respiratory and renal failure. She also suffered pancreatitis, septic shock and bacteremia. She tested positive for several serious infections, including klebsiella, e-coli and enterococcus bacterial infection. Doctors gave her intravenous antibiotics meant to fight CRE. In addition to negligence, Newton’s lawsuit alleges Olympus redesigned its Q180V Scope and sold it without FDA approval or clearance to do so. The redesign caused a “wicking effect” where the scope dragged biologic material (including CRE bacteria) behind the “sealed elevator wire,” a part of the device that cannot be adequately reached through cleaning. Newton suffered CRE infection, septic infection, multiple organ failure, diverticulitis, colon infection, depression and other injuries. Renate Winkler, an 82-year-old Illinois resident, underwent a procedure with a duodenoscope and died after contracting CRE. Her children, Ronald Winkler and Iris Tripicchio, filed a lawsuit against Pentax and the hospital. According to the lawsuit, the duodenoscope was defective because its design prevented proper cleaning. “As a medical device manufacturer, Pentax has an obligation to develop, test and validate the safety of its products prior to selling them,” attorney Lexi Hazam told the Chicago Tribune. In December 2018, Olympus settled lawsuits from two widows whose husbands were among 18 people who died from superbug infections following duodenoscope procedures at Seattle’s Virginia Mason Medical Center. The settlement amounts paid to Deborah Shawver and Theresa Bigler were not disclosed. Shawver’s lawsuit had been scheduled for trial in late 2019. Bigler had previously sued Olympus, and the Virginia Mason Medical Center joined her lawsuit. In July 2017, following an eight-week trial, a Washington state jury ordered Olympus to pay the hospital $6.6 million in damages over the superbug outbreak. But the jury decided that the medical center shared in the blame for Richard Bigler’s death. It ordered the hospital to turn over $1 million of the verdict to Theresa Bigler. Olympus had previously reached at least one other undisclosed settlement in a lawsuit over its scopes. Carla Warner of North Carolina sued Olympus after her husband, Bill, died in 2013 from an infection following a duodenoscope procedure. Warner says her husband had suffered severe pain and had lost 60 pounds over eight months before he died. He was forced to rely on a feeding tube, and because of the danger of spreading the infection, he was forced to spend much of his time isolated from friends and family. Olympus agreed to settle with Warner for an undisclosed amount in June 2017 — about one month before the case was set for trial in a North Carolina federal court. Senate staff investigators found that by early 2013, Olympus had knowledge of two independent lab reports that showed the potential of certain scope models to harbor and spread bacteria even after proper cleaning procedures. The manufacturer didn’t inform the FDA, hospitals, physicians or patients about the risk of infection until February 2015. Senate staff investigators found Olympus had knowledge of two independent lab reports that showed the duodenoscopes could harbor and spread bacteria even after appropriate cleaning. But the Senate report said Olympus did not alert American hospitals until after a February 2015 outbreak at UCLA and Cedars-Sinai medical centers in California. Seven patients were sickened and two died in the outbreak. By the time the Olympus warning finally reached American health care providers, the Senate investigators estimated about 200 more patients may have also been infected at UCLA, and many more could have been infected in hospitals across the country. Later, the committee learned that an outbreak in October 2014 in Seattle was linked to the same model scope. This outbreak also occurred after Olympus’ European warnings. The delay in reporting led the United States Justice Department and the FDA to pursue criminal charges. In December 2018, Olympus and one of its former executives pleaded guilty to federal charges that they failed to file adverse event reports linking the company’s scopes to the European outbreaks. 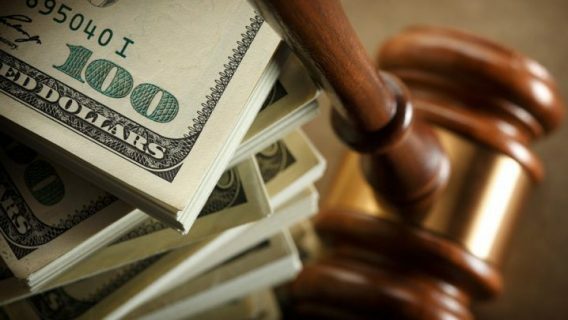 Olympus agreed to pay $85 million in fines and other penalties in a plea bargain with the Justice Department. Hisao Yabe, the company’s executive in charge of complying with United States reporting laws, faces up to a year in prison and a $100,000 fine at his March 2019 sentencing. Dennis, B. (2015, March 5). Widening superbug outbreak raises questions for FDA, manufacturers. Retrieved from https://www.washingtonpost.com/national/health-science/widening-superbug-outbreak-raises-questions-for-fda-manufacturers/2015/03/05/008c981a-c2e0-11e4-ad5c-3b8ce89f1b89_story.html?